About 10 months ago, I started a small food blog on TeamLiquid. At the time, none of my food blog posts were gaming themed. There actually wasn’t a theme at all. It was mainly an experiment. I’d find food recipes or create my own and post my results in the humble blog corner of TeamLiquid. To my surprise, I received tons of comments and questions from the TL community. I’ve even received some very nice PMs from people who’ve tried out the recipes I posted. Eventually, I started receiving requests for recipes. This is one of those requests. A while ago, a user by the name of Crazyeyes requested that I create my own version of stir fry. Well, here’s my version of a healthy stir fry. The process is easier than a 4gate. Prep time should take about 30 minutes. You can prep most of the vegetables while the brown rice cooks. Total cooking time for the brown rice is about 25-30 minutes on the stove top. Cooking the actual stir-fry should take about 10 minutes. This dish will serve about 4-5 people. Add 1 cup of water to your brown rice. Let water boil and then reduce to medium heat. Cover with a lid and let cook for about 25-30 minutes. 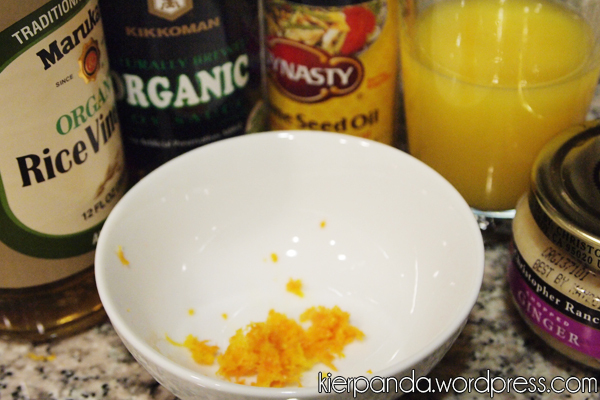 Combine your rice vinegar, soy sauce, orange juice, orange zest, minced ginger, and sesame oil. Chop mushrooms, bell peppers and onions. Place a wok on high heat. Add coconut oil. 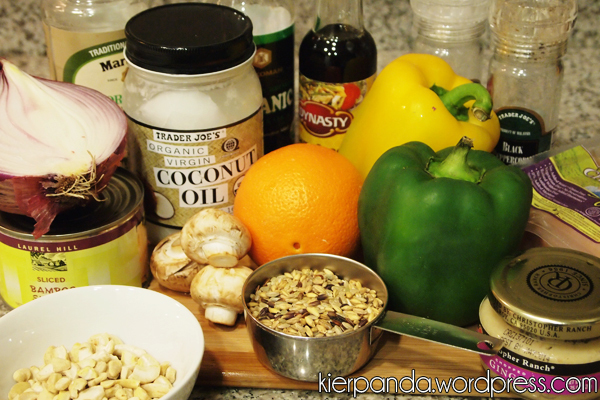 Place cashews in hot coconut oil. Remove cashews when brown. Place vegetables in hot oil. Add in your bamboo shoots. Let chicken and vegetables cook for about 10 minutes. 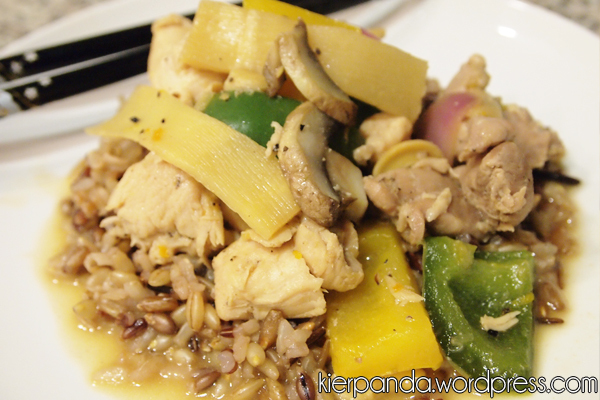 Remove stir fry and plate on top of brown rice. And that’s really all it takes to complete a warp gate rush stir fry. That’s the beauty for stir fry. It’s a very simple technique in theory — just place a wok over high heat and add in your ingredients very quickly. It’s similar to many all-in builds in the sense that the build order itself is simple, but everything must be done very quickly. If you wait too long and you miss your timing, your opponent will be ready for you. If you wait too long when cooking your stir fry, your ingredients will burn due to the very high heat. When all the components come together, it’s a GGWP. 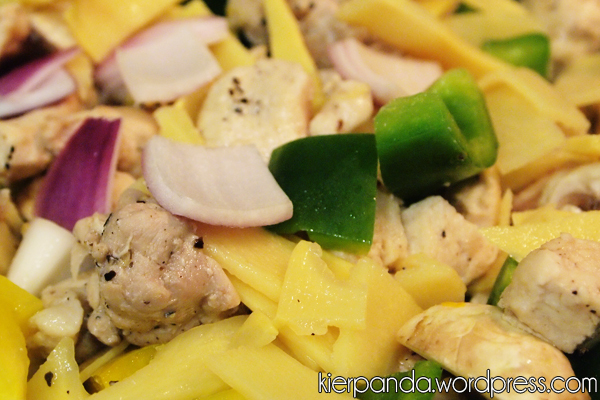 This entry was posted in starcraft and tagged chinese, protoss, stir fry by admin. Bookmark the permalink. I feel this is one of the so much vital information for me. And i am satisfied studying your article.